Tencent has revealed that PUBG Mobile is now played by 30 million people daily. The publishing giant announced the milestone alongside news that the mobile battle royale had been downloaded 200 million times in eight months. In Q3 2018, Playerunknown’s Battlegrounds’ mobile edition had the second highest monthly active user count among all mobile games. “PUBG Mobile has become an award-winning game that's experienced rapid growth to reach more than 30 million daily active players. We look forward to expanding our impact even further through cross-promotion with companies outside of the gaming industry." 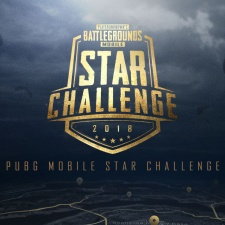 The milestones were revealed as day one of PUBG Mobile’s $600,000 Star Challenge Global Finals 2018 drew to a close. “We are extremely pleased by the fan turnout and look forward to celebrating with the champions soon."